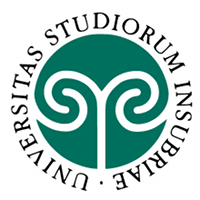 Profile: Founded in 1998, the University of Insubria is a young university with a very high commitment into the development of quality in its research that corresponds to an intense scientific activity of its Departments and Research Centers. UI has approximately 11,000 enrolled students and 450 professors. It has been involved in over 20 EU FP7 projects. INSUB participates to CONCORDIA with its STRICT (Security and Trust for Information and Communication Technology) SociaLab, a research laboratory of the Department of Theoretical and Applied Science, internationally recognized as leading group in its area. STRICT SociaLab offers a solid background in data privacy, security and trust and it has a well-known reputation worldwide, witnessed by the prestigious collaborations and recognitions received by its members, as well as by its publication record. Expertise and Role in CONCORDIA: INSUB participates in all WPs and through its STRICT (Security and Trust for Information and Communication Technology) SociaLab, a research laboratory of the Department of Theoretical and Applied Science, will contribute input on data privacy, security and trust.